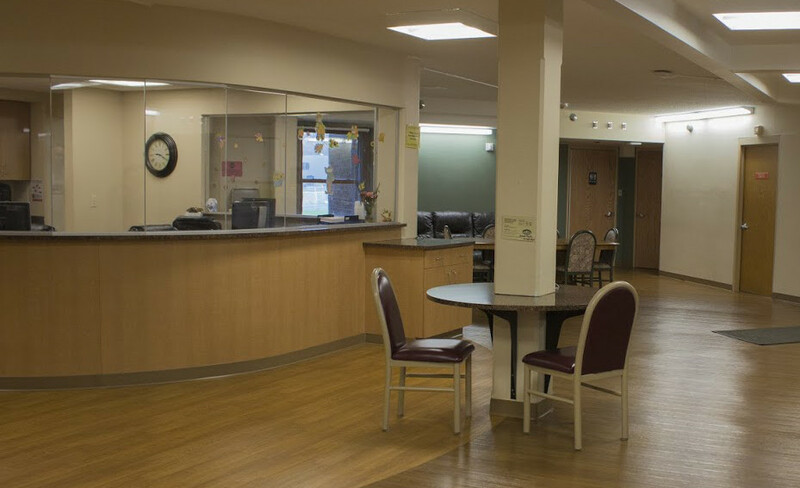 Admissions is a licensed, acute care, specialty, psychiatric hospital, providing 24-hour structured inpatient treatment. Our inpatient hospital unit offers voluntary and involuntary mental health assessment, diagnosis, acute treatment and stabilization for adults age 18 or older. Additionally, for patients that are incapacitated related to alcohol use and have become engaged with law enforcement or for persons that have co-occurring illnesses, we provide limited acute detoxification services. Treatment emphasis is on short term, intense, therapeutic intervention designed to provide the person with rapid evaluation and stabilization. Our unit specializes in the care of people in acute crisis with regard to mental illnesses. For individuals in need of acute mental health care, a 24/7 supportive environment is essential to support their recovery. Our goal is to provide people in very vulnerable states and most in need of help with a team of highly trained professionals who can offer counsel and support around the clock. This interdisciplinary team approach includes psychiatrists, psychologists, nurses, social workers, psychiatric technicians and occupational therapists who work individually with the person and collaboratively as a team to create a treatment plan specific to an individual’s needs. Collectively, we help guide people make positive changes that will improve their quality of life and help them return to their community. Person Focused Care Patient-centered treatment plans are developed to support short-term stays that encourage wellness, emergency crisis stabilization and transitioning the person as they return to their community. A comprehensive mental health evaluation is completed during the patient’s hospitalization that is individualized to each person. Options for treatment Treatment plans are personalized and services may include individual counseling, neuropsychological testing, Cognitive Behavioral Therapy, Dialectic Behavioral Therapy, occupational therapy, group therapy, psycho-educational groups, medication management, and/or family counseling sessions. Cooperative care with community agencies We work hand-in-hand with Law Enforcement, Crisis Stabilization and other referring sources (medical providers, local emergency rooms, outpatient mental health providers and others) during assessment and treatment of individuals needing emergency mental health care on both a voluntary and non-voluntary basis. We also work collaboratively with community partners such as CCCW, Family Care, CSP, CCS and individual outpatient provider services to help support the person after stabilization and as they return to the community. Upon voluntary request of admission each potential patient will be triaged by a nurse to determine if they are eligible for inpatient treatment. If found not eligible for inpatient treatment, a referral will be made to appropriate services. If admission to the unit is appropriate, patients can expect to complete an intake assessment and physical exam, orientation to the facility and short-term treatment.